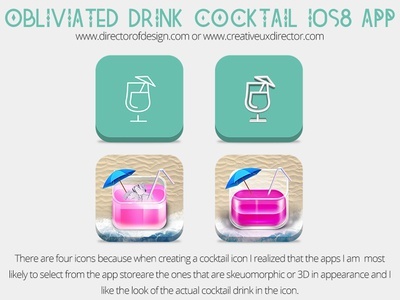 Icons for the Obliviated Drink Cocktail Application. I designed four icons and I realized that when I choose an icon from the app store, I am most likely to pick a 3D or skeuomorphic looking icon. 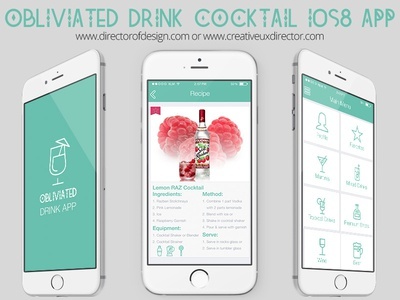 Obliviated Cocktail Drink iOS8 App, Application. Flat design with simplistic navigation and interesting recipe screens.